Wheels are getting larger, heavier and more expensive. New tire systems are becoming tougher to change. Today, tire service is more challenging than it’s ever been—and choosing the right equipment to serve your customers is even more critical. The APX90 can handle nearly any application, with the ability to service wheels from 9" to 30" externally and without the need for additional adapters. 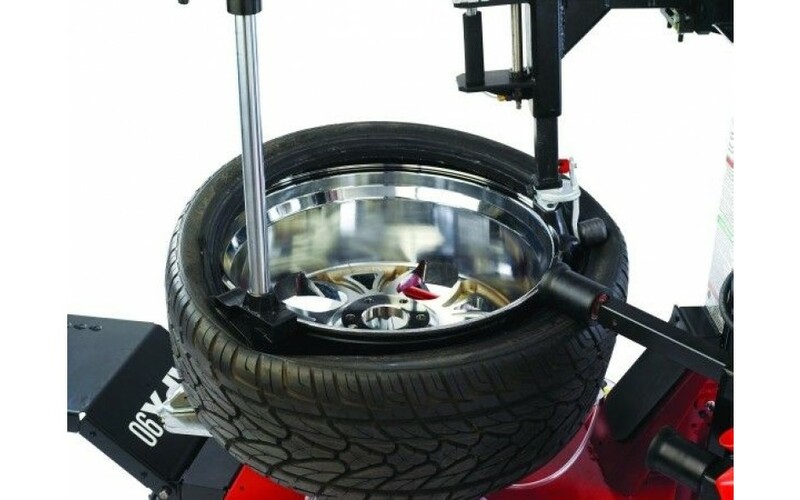 At the same time it provides an ergonomic user experience with intuitive and easy to operate features, so that you can focus on changing tires without complicated training issues. Capacity, Productivity, and Protection—the Coats® APX90 delivers on all counts. 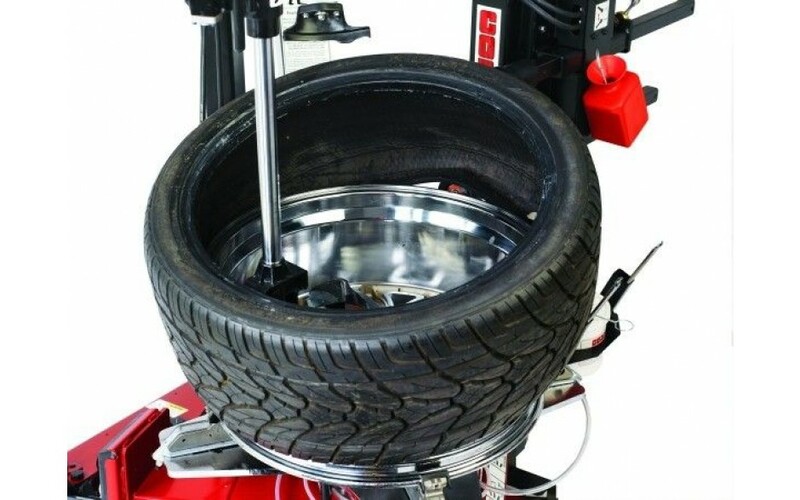 When your customers entrust you with their expensive wheels, you need a tire changer that you can count on to do the job safely and without worry. With features such as the Coats® exclusive bead loosening system, the APX90 was designed from the ground up to give peace of mind for even the most challenging jobs. As tires and wheels get larger and heavier, they also get harder to change. With features such as an integrated wheel lift and more power helpers than any other tire changer, the Coats® APX90 helps your staff work faster and more efficiently. 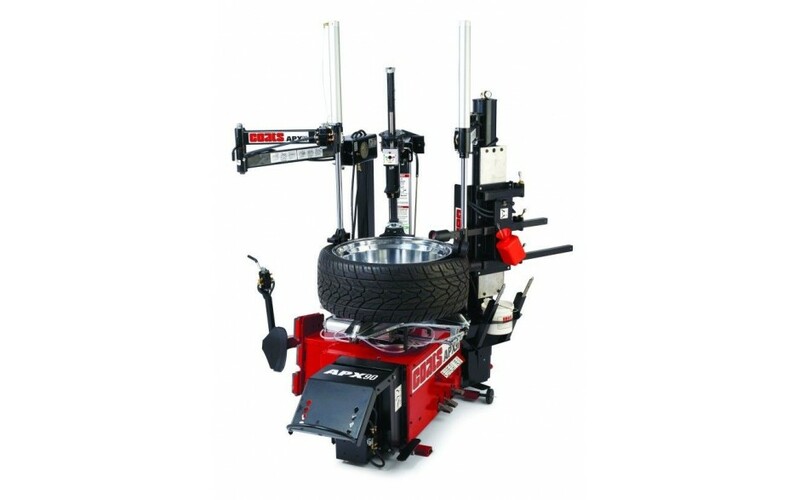 And because the Coats® APX90 has evolved from the most popular family of tire changers in the United States, it is intuitive and easy to operate. Technicians can focus on the customer rather than complex training. We know tires and wheels will continue to change. Coats® engineered the APX90 so that it can adapt and be enhanced for the future. That means your equipment investment lasts. Large clamping capacity to externally clamp wheels up to 30" or as small as 9" in diameter to maximize service flexibility. High-torque electric turntable gives you the power you need for tough applications. Three-position hand-operated bead-loosener provides complete control, reducing wait time and minimizing risk of wheel damage. Duckhead® roller prevents top bead from flipping over Duckhead® mount head on large, stiff sidewall tires. Robo-Arm® helper device applies pressure to create bead lock and hold top bead in drop center when mounting. Horizontal power rollers allow easy bead and rim lubrication, loosen top beads, and assist in mounting run-flat and low-profile tires. Ergonomically positioned foot pedals and helper controls located at point of use minimize training and opportunities for error. Built-in wheel lift raises heavy wheels to tabletop height, reducing operator effort and the risk of wheel damage while improving control. The Robo-Roller® comes installed, and it is used on the toughest of tires to help keep the following bead in the drop center.